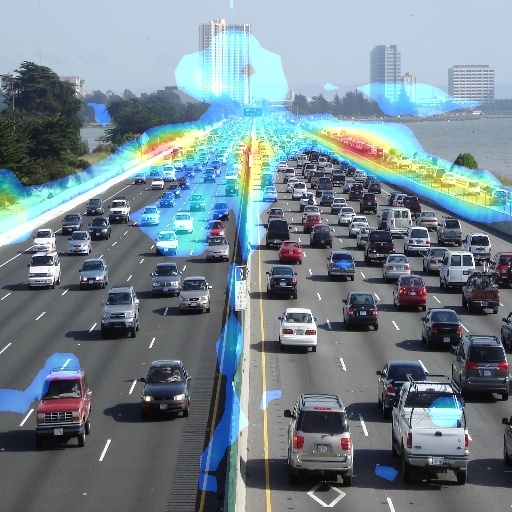 Class activation maps are a simple technique to get the discriminative image regions used by a CNN to identify a specific class in the image. In other words, a class activation map (CAM) lets us see which regions in the image were relevant to this class. The authors of the paper show that this also allows re-using classifiers for getting good localization results, even when training without bounding box coordinates data. This also shows how deep learning networks already have some kind of a built in attention mechanism. This should be useful for debugging the decision process in classification networks. To be able to create a CAM, the network architecture is restricted to have a global average pooling layer after the final convolutional layer, and then a linear (dense) layer. Unfortunately this means we can’t apply this technique on existing networks that don’t have this structure. What we can do is modify existing networks and fine tune them to get this. Designing network architectures to support tricks like CAM is like writing code in a way that makes it easier to debug. The output shape of the convolutional layer will be [batch_size, number of filters, width, height]. So we can take the average in the width/height axes (2, 3). We also need to specify the output shape from the layer, so Keras can do shape inference for the next layers. Since we are creating a custom layer here, Keras doesn’t really have a way to just deduce the output size by itself. The second building block is to assign a weight to each output from the global average pooling layer, for each of the categories. This can be done by adding a dense linear layer + softmax, training an SVM on the GAP output, or applying any other linear classifier on top of the GAP. These weights set the importance of each of the convolutional layer outputs. 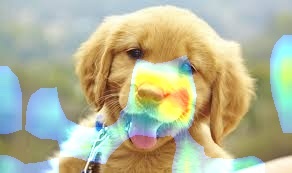 Now to create a heatmap for a class we can just take output images from the last convolutional layer, multiply them by their assigned weights (different weights for each class), and sum. #Reshape to the network input shape (3, w, h). #Get the 512 input weights to the softmax. #Create the class activation map. To test this out I trained a poor man’s person/not person classifier on person images from here: http://pascal.inrialpes.fr/data/human In the training all the images are resized to 68x128, and 20% of the images are used for validation. After 11 epochs the model over-fits the training set with almost 100% accuracy, and gets about 95% accuracy on the validation set. In this image it’s disappointing that the person classifier made a correct decision without even using the face regions at all. Perhaps it should be trained on more images with clear faces. Class activation maps look useful for understanding issues like this. Here’s an example with weights from the “not person” category. It looks like it’s using large “line-like” regions for making a “not person” decision. The original CAM method described above requires changing the network structure and then retraining it. This work generelizes CAM to be able to apply it with existing networks. In case the network already has a CAM-compibtable structure, grad-cam converges to CAM. A target function that should be maximized by pixels of interest. 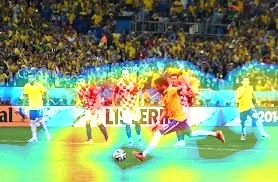 A heatmap for every convolutional layer output. The output of grad-cam will be pixels that contribute to the maximization of this target function. If for example you are interested in what maximizes category number 20, then zero out all the other categories. Compute the gradients of the target function, with respect to the convolutional layer outputs. This can be done effeciently with backpropagation. Use the convolutional layer output gradient image to create an importance map. The paper does this by taking the spatial average of each channel of the gradient image, and then scaling the corresponding channel of the convolutional layer output. Instead of scaling by the spatial average like in the paper, multiplying the gradient images by the conv output images seems more natural to me, since then we get a relevance coeffecient for each pixel in each channel. We can then sum all the scaled channels to obtain the a heatmap. 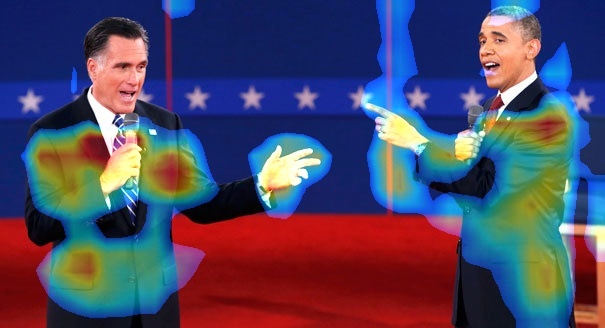 Activate ReLU on the heatmap. This keeps only pixels that have a positive influence on the target function. The output pixels are already positive (since they come after a ReLU), so if the CAM pixel was negative, this means that there were large/many negative gradients for this pixel.